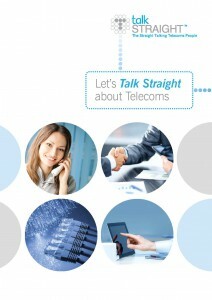 If you’re looking for mobiles for your business then look no further than Talk Straight. We can provide airtime packages from two of the UK’s largest networks, O2 and Vodafone as well as any handset or tablet available on the UK market today. Unlike dealing with one of the networks directly, or buying from a mobile phone shop, we can create unique tariffs that are specifically designed to match your staff’s usage. If your past bills show that you’re regularly using no more than 402 minutes and 53 texts, why would you pay for a tariff of 500 minutes and 100 texts? As an O2 JUC partner, we can buy minutes on a wholesale basis, allowing us to design packages that will suit how your business uses its mobile airtime. If some staff need more minutes or data allowance than others, that’s fine. We can even provide tariffs that are shared across multiple users, helping to reduce wastage from those who only use their mobile occasionally. Travelling overseas or have offices abroad? If you have a high International usage or often work overseas we can develop a package that is designed to make calls to the countries that you call the most much cheaper. If you’re going to be away for a longer trip we can help with temporary SIM cards for the country you’re visiting. On the other hand, If you’d prefer your staff not to use their mobile abroad we can also provide call barring. Want internet access on the go? Just let us know how your staff will be using their phones and we’ll work out a data package to suits your needs. If you don’t know where to start, we can help you analyse any bills you may have from a previous provider and work out if there’s a better solution for you. Our range of 4G tariffs handsets and devices means your employees can continue to work online, even when they’re away from a Wi-Fi connection. All of our mobile phone contracts come with a handset allowance, meaning that your staff can choose the handset of their choice. If your employees all have different needs from their phones, we can give each of them the most appropriate one for their job. Whether you need access to apps, email on the move, phones with good cameras, mobile internet access, or just plain old simple-to-call-from handsets, we can supply a batch of the same phone or a varied combination. We can provide all Smartphone handsets running on the latest operating platforms from IOS and Android to Windows and Blackberry. Found that your staff don’t need new handsets? That’s fine – your handset allowance will automatically be deducted from your contract cost. All of our bills are electronic, not only helping the environment but also making it much easier for you to analyse exactly what you’re spending. You will also get access to our online billing portal. On here you can view your invoices along with your call usage. You can view the calls, texts and data usage for all numbers you have with us and you can also filter to see the usage on a single number or a group. This information is updated throughout the month so you can keep an eye on your spend, and contact us to add extra bolt ons if necessary.